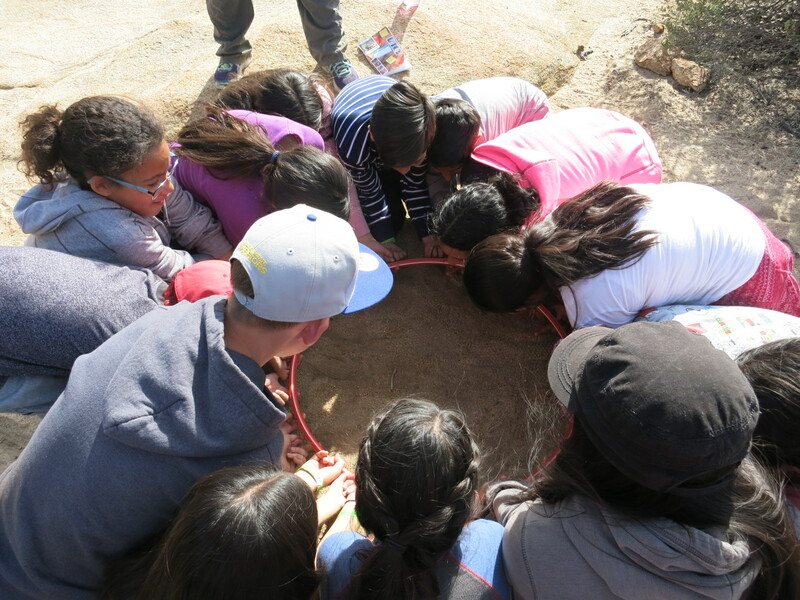 Team Challenge has been going on for years at Pathfinder Ranch, but did you know it all started with a non-profit organization called Project Adventure aka PA in Massachusetts? The mission for PA is to provide leadership in the expansion of adventure-based experiential programming. 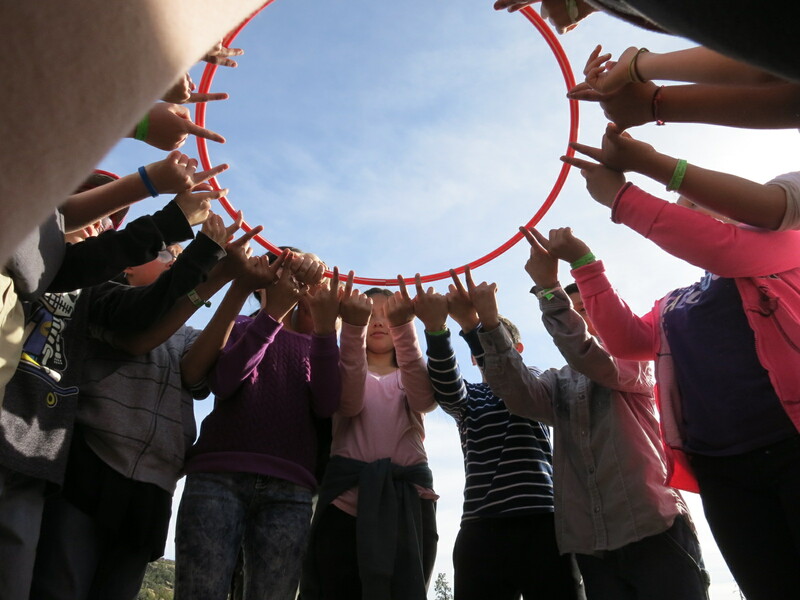 Here at Pathfinder, your students have the opportunity to challenge themselves to “think differently” and discover their leadership potential. 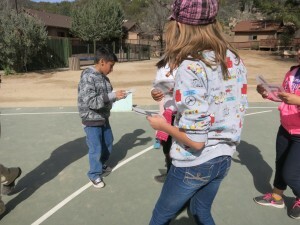 Every team challenge will start with a pre-brief, which is a way of getting the kids mentally ready to work as a team. 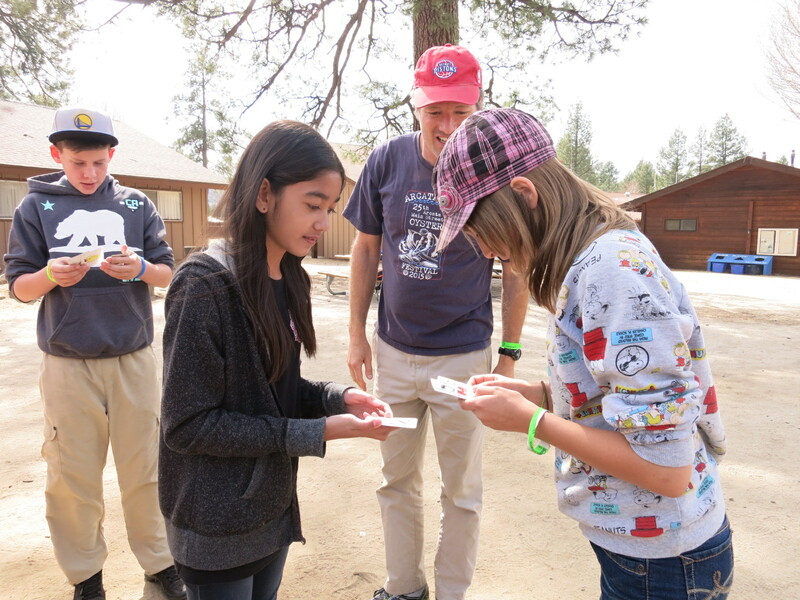 Our instructors often use metaphor cards to see how the students perceive the meaning of teamwork and talk about how they’re going to support each of their team members. These steps are on cards which allow the students to place them in a meaningful order agreed upon by the group; which creates the team’s full value contract. These steps also allow all students to stop, think, and evaluate their success. Turnstyle – (Large group, played with a retired climbing rope) This activity takes a long rope or a jump rope. Two facilitators stand in front of each other and turn the rope, much like jump rope. The group’s objective is to get the whole group from one side of the rope to the other, without touching the rope. The group may not go behind the facilitators and there must be one person jumping at all times. Helium Stick- (medium group, plated with a hula hoop) Take the hula hoop and hold it horizontally about chest height and ask the kids to hold the hoop onto of their index fingers and lower it to the ground as a team. May seem easy, but its challenging if everyone doesn’t come together and work as a team. 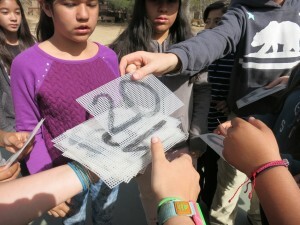 Key Punch- (Large group, played with 28 large cards with numbers) The facilitator has the numbers 1-28 written on cards and throws them in the air while the students are in a line shoulder to shoulder. 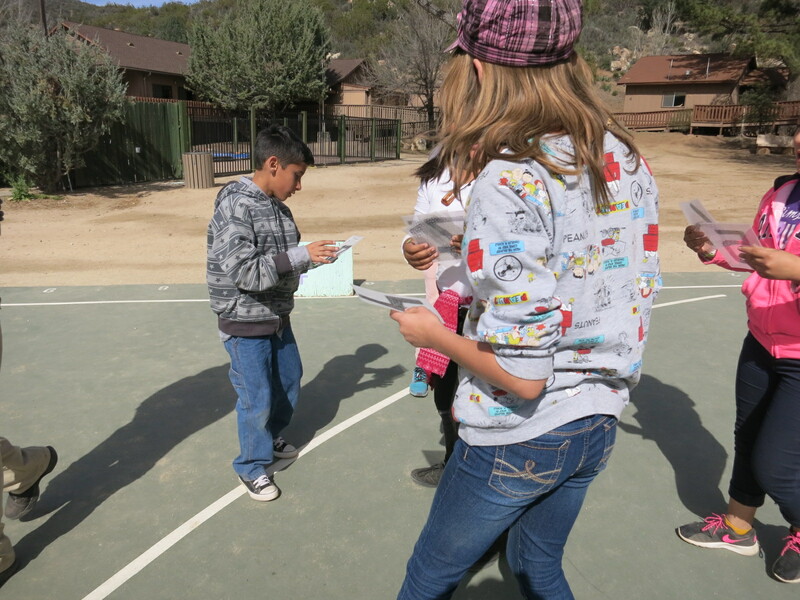 From there, the kids run to retrieve the cards and put them in numerical order from 1-28 with 28 being on top. The timer starts when the facilitator says, “GO” and it stops when everyone is behind the rope line or a line you choose and the cards are in the facilitator’s hand. Typically 3 rounds are done and the students are trying to improve their time. Throughout all activities, the students are allowed to call a time out and communicate with their team members and create a plan, see how the plan works and reevaluate their progress.At the end of each activity, the students get the opportunity to debrief their experience and how there going to take what they learned back to their communities at home. What: 1. What happened? 2. Who did what? 3. Who was last, who was first, who suggested ideas, who were the leaders, whose ideas was used? 4. When did the group seem stuck, what happened that go the group moving again? 5. Were there times when there was a general group feeling of: frustration, euphoria, etc.? 6. As a group: what were you especially good at, where could you improve? So What: 1. How do you feel about your own, or the groups, performance? 2. What significant issues did you notice (Or you can ask about specific issues). Now What: 1. In the next initiative what do you want to do differently based on what you’ve learned? 2. In your school (or where ever), how can you apply these lessons and make them a reality? About your blogger: Fez has been working at Pathfinder for the past couple of months and comes from Connecticut. 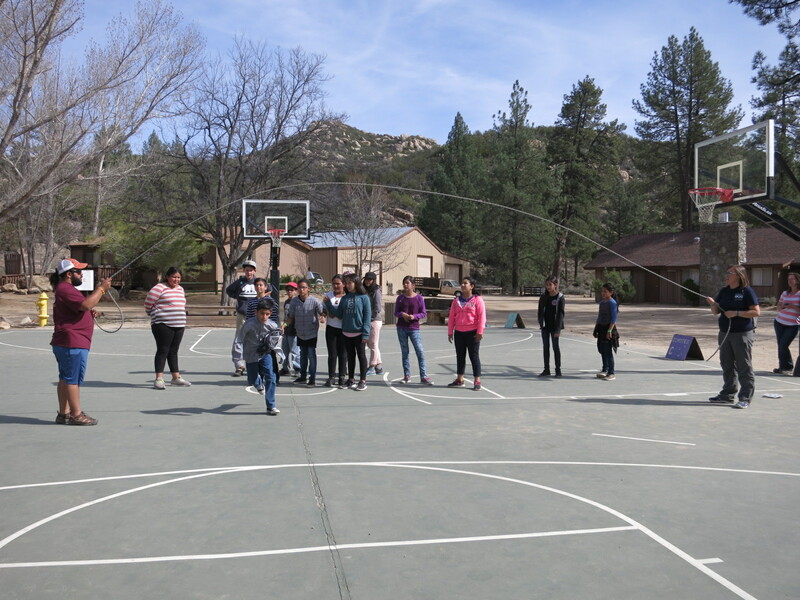 Fez also comes from a background of 10+ years of facilitating team-building programs to schools and corporate groups on the east coast and Colorado. In June, Fez will be getting his ACCT Level 2 Practitioner Certification through High 5 Adventure Learning Center in Vermont.